Tennis elbow is a common condition in which the overuse of the extensor carpi radialis brevis (ECRB) muscle causes pain to radiate down the outside of the elbow region through the forearm. In most cases, this can be cured through non-invasive measures such as non-steroidal anti-inflammatory drugs (NSAIDs) or specialized physical therapy. However, in severe or non-responsive cases, surgical treatment may be needed in the form of tennis elbow release. 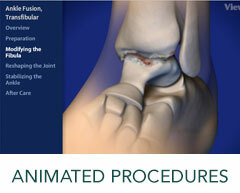 The goal of this procedure is to provide pain relief, usually accomplished by “releasing” the swollen ECRB tendon. This is done by debriding the degenerative and painful sections, thus creating more room for the healthy parts to function. This can be accomplished through either open surgery or using arthroscopic techniques. The recovery from surgery is approximately 12 weeks for arthroscopic surgery and potentially longer for open surgery. Light rehabilitation exercises should begin once the doctor approves, normally after two to four weeks. To learn more about our Tennis Elbow Release Services, please contact us today to schedule an appointment!